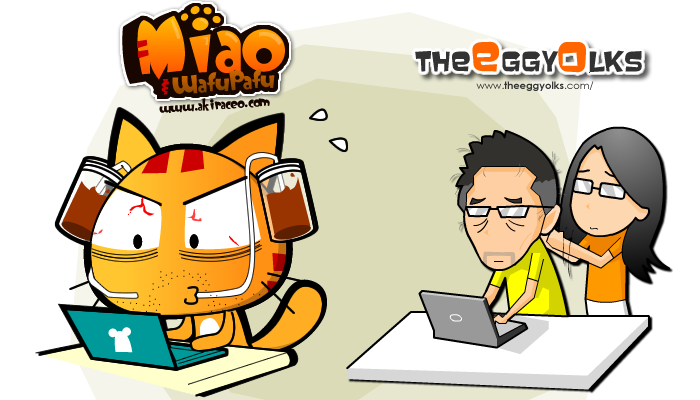 THEEGGYOLKS 蛋黃打点滴: Happy Malaysia Day 2012!! After 49 years of joining the Malaya and Sabah to form Malaysia, Sarawak had fluorished into a beautiful state filled with wonderful people. In Sarawak, we always appreciate the unity of people in our state and thus, we had no problem living in a community with different races. However, there seems to be a certain group of people trying to create chaos in the relationship of races in our country. There are even hate group created against Sarawak (What did we do to cause such hatred from you guys?? =3=). Sometime, I wonder why are they doing such things when we have been living in harmony with one another? Thus, Jian (Miao from akiraceo.com) and us had decided to do an animation about the unity of Malaysian through the eyes of the Sarawak children. We believe that children always shows the true strenght of unity as they are not being polluted with politics. This animation was created also for the sake of joining the Smiles of Unity Short Film competition by Yayasan Perpaduan Sarawak. In fact, we did the video in such a hurry (within one week) resulting both Jian and I (yolk) behaving like walking zombies during that whole week, drawing, animating, editing, sound effecting and compiling =_="
Anyway, here's the final product and we present you our first collaboration!! 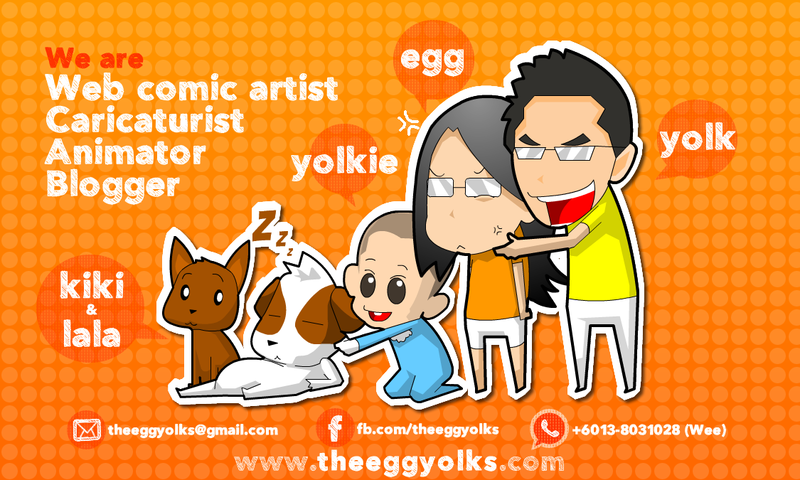 Together - by CATYOLK production!! Do let us know what do you think about the video. 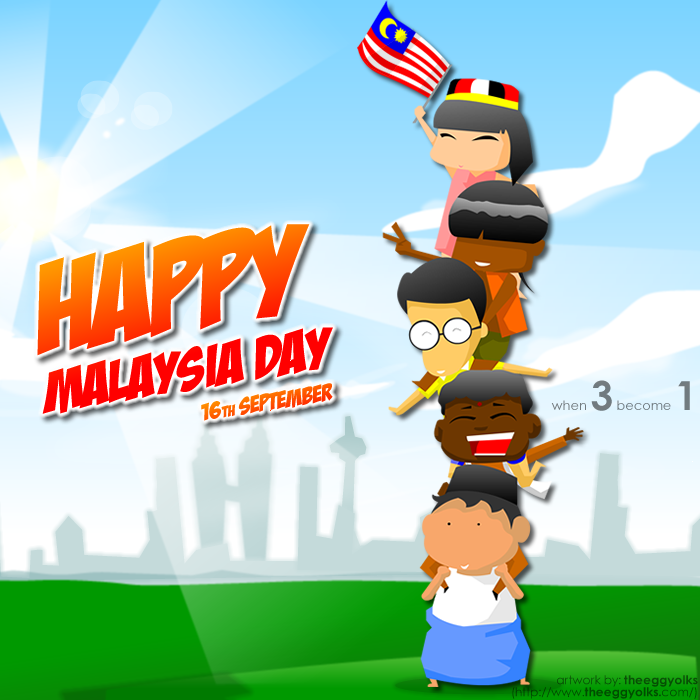 Happy Malaysia Day!! Side note: YouthToday.com is organising their YouthJam KL 2012 tomorrow! Too bad Egg and I are no longer youth (already LKK also [=3=]") and we're not anywhere near KL (across the South China Sea). How we wished we would be able to join them in KL.